This client was having trouble getting their previous website updated. The site was old, not mobile responsive, and badly in need of a make-over. We designed an entirely new website and added lots of new photos to display examples of the client’s product range. 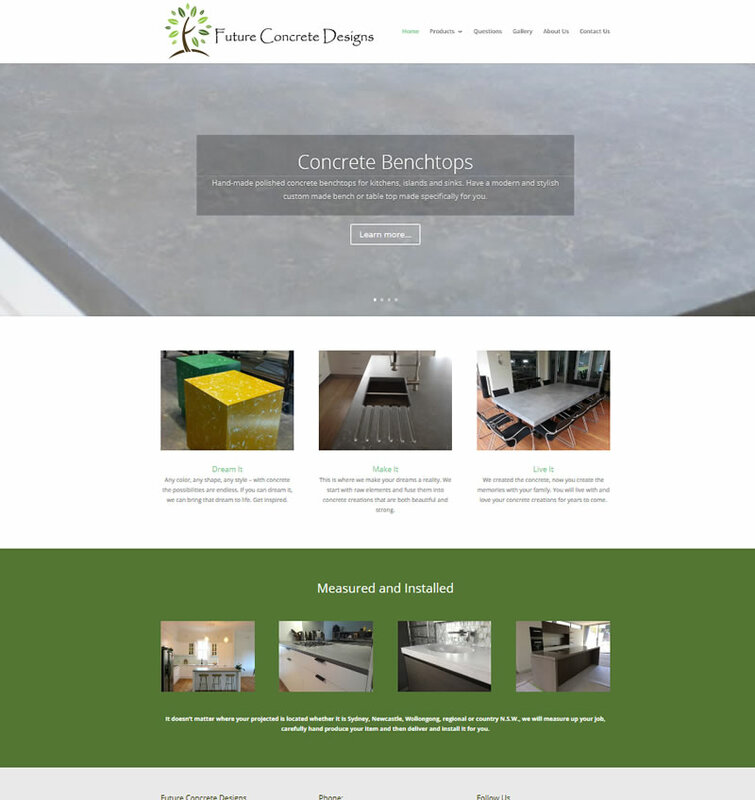 Click here to visit the Future Concrete Designs website. Replace an old non-responsive website with an updated modern website to showcase the clients product range.